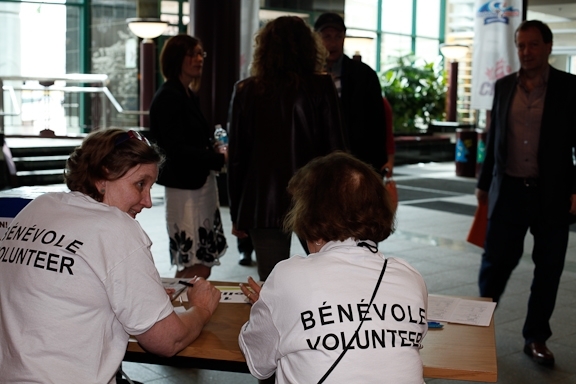 We had our Volunteer Appreciation Party last night at Atlantic Lottery Corporation. What an amazing group of people who contribute so much to our community. We had door prizes for everyone and the opportunity to thank them all for driving authors to school visits, conducting audience surveys at events, taking tickets at the door, playing word bingo with kids at KidsFest, and so much more! 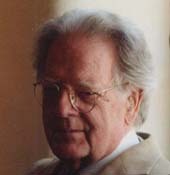 I am lobbying hard to have a new school in Moncton named “Northrop Frye Elementary”…we shall see! Thanks to Robert Denham (via Ed Lemond) for the definition of “Northrop”. Sadly, I remain “ni-lingual” (incapable of speaking or writing in English or in French), so I don’t have any enormous insights on the Festival yet (sorry Michael!). As promised, here is the full text of our poet flyé’s (Jesse Robichaud) Poem Flyé. Jesse is a journalist for our local paper, the Times and Transcript and is a gifted, bilingual writer. He told me today that he considers “the festival one of the best things about Moncton, and also symbolic of the best things about Moncton”. Jesse delivered this poem at the Greater Moncton International Airport at our closing and it will have a permanent presence at the airport. This entry was posted in Frye Festival on April 30, 2010 by Guest Blogger. This entry was posted in Quote of the Day on April 30, 2010 by Michael Happy.